As mentioned in the previous article, ITatOnce uses the same technology to export data from VMware systems during both backup and replication. Data transfer to the target site is also the same. 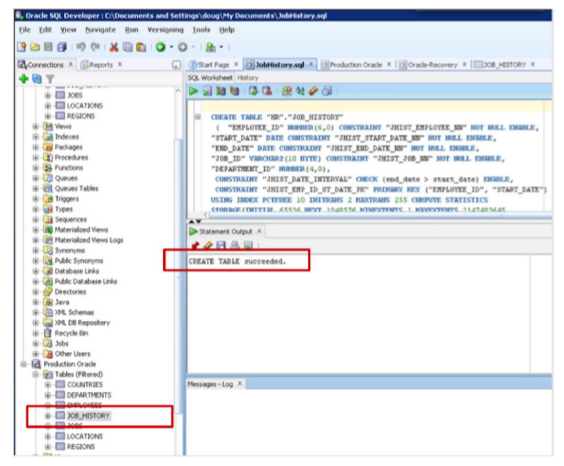 Regardless of the source disk, the disk space at the replication target can be set up as a thick disk (100% space allocation) or as a thin disk to save space (space allocation according to need). Further space is kept available for additional recovery points. In doing so, only incremental versions are backed up to save space. All replicated statuses started from Veeam manager (replica boot). 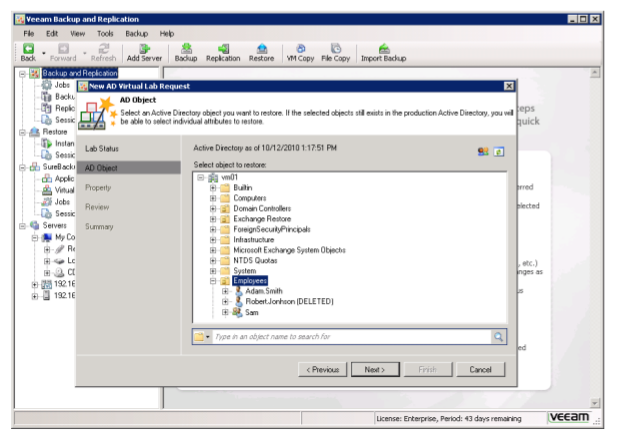 Automatic adjustment of network settings and IP addresses (Windows) for the replicated server on start up. In Version 6, in the event of complete failure of the first site, it is possible to reconstruct this efficiently and with reduced bandwidth usage. 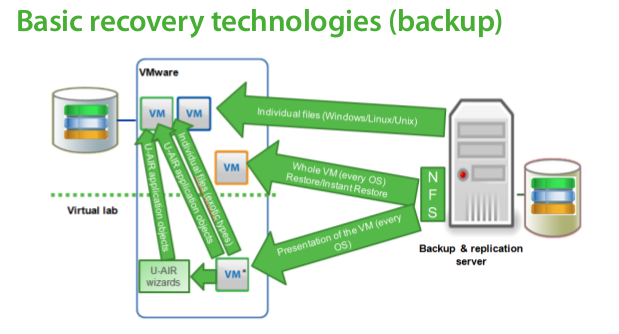 For this purpose, a backup of the VMs is recovered at the first site and linked to the replication job. This then transfers only the delta between the current status and the status recovered from the backup back over the network. During backup, the current status is only saved once. All the recovery processes described here may be used from this backup status. It is therefore not necessary to create further backup files or jobs to recover applications, and thus saves administrative effort and the cost of additional disk space. 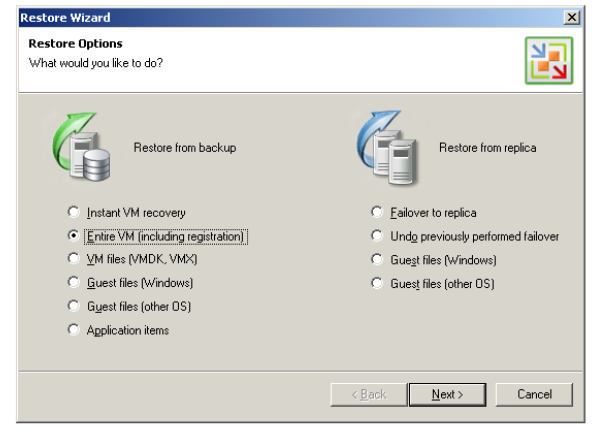 Instant Restore helps you to effectively minimize loss of production in the event of a recovery to a few minutes.